Superior results in whitening using the KOR Whitening System in our office. This case is a long time patient of the practice. While at work he broke his front tooth. We wanted to restore the tooth in the least invasive possible way. 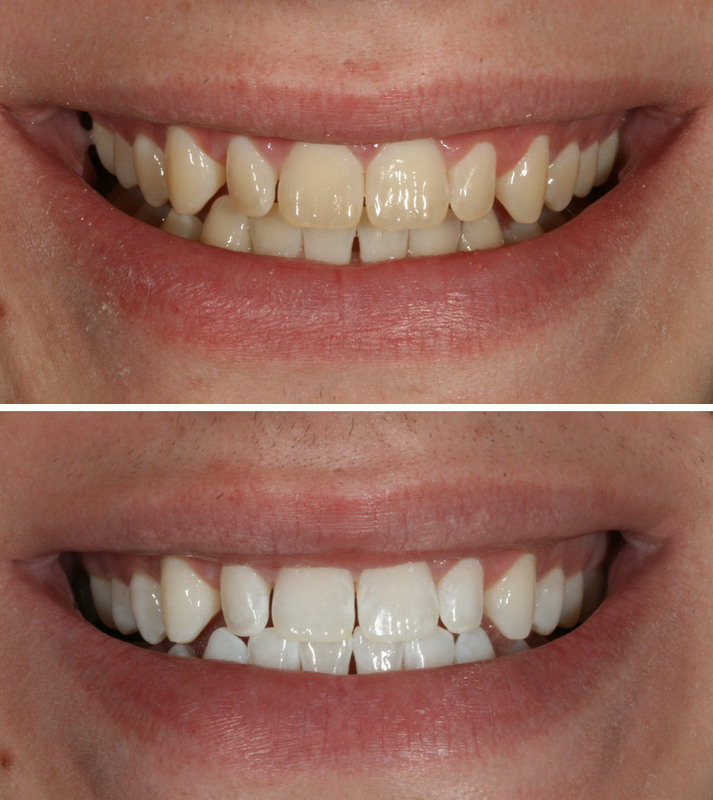 Instead of crowning the tooth, we decided to do a minimal prep partial veneer. Matching any restoration to to the adjacent front tooth is one the most difficult esthetic challenges we face. 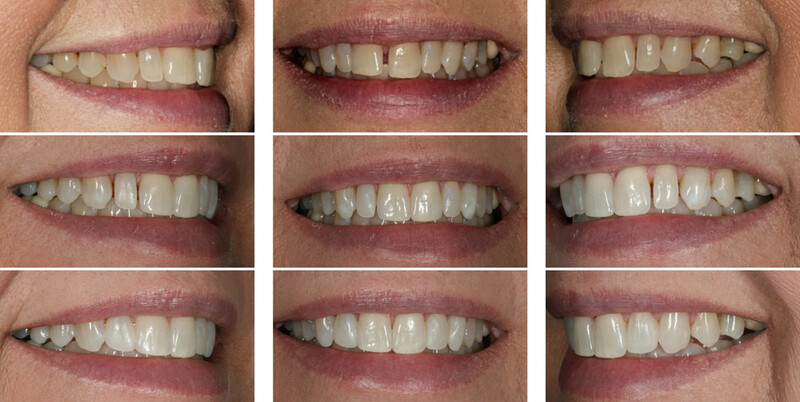 By doing a partial porcelain veneer, very little additional tooth structure was removed, and the best possible esthetics were possible. This patient had bonding on the 3 front teeth in the 1980’s to close spaces. It had begun to chip and discolor. 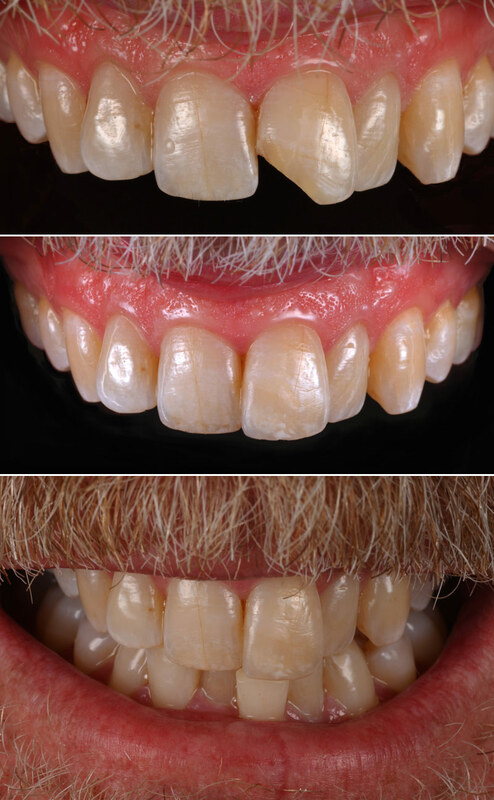 This case involved removal of old restorations, KOR whitening, and bonding. Before: Note the discolored old bonding and dark triangles between several teeth. 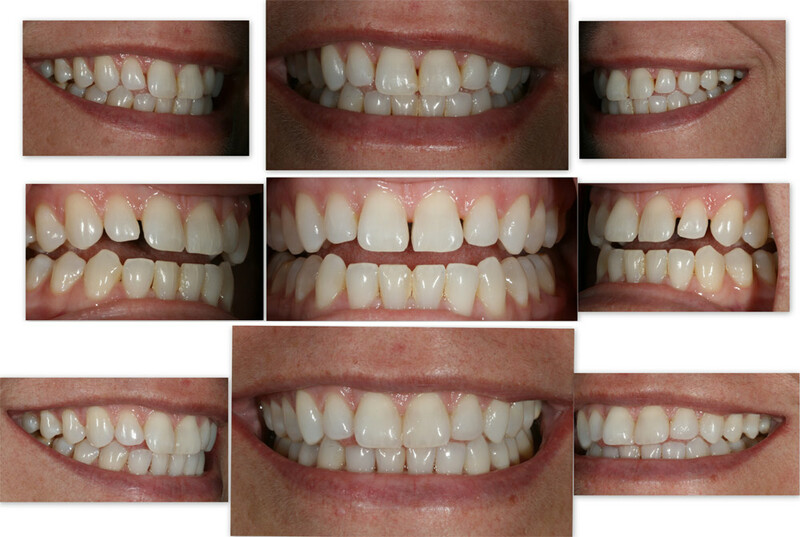 During: The teeth were whitened using KOR trays and solution. The old composite has been removed. After: Note the spaces have been closed and the papilla have filled in naturally where the black triangles had been. Also note the healthy appearance of the gum tissue. Another case of dental bonding, with KOR Whitening to improve esthetics.